Defense Minister Carl Haglund at the discussion in Kultaranta on Monday. Photo – Str / Lehtikuva. The debate on whether the country should seek NATO membership surged ahead on Monday at Kultaranta, the summer residence of the president. 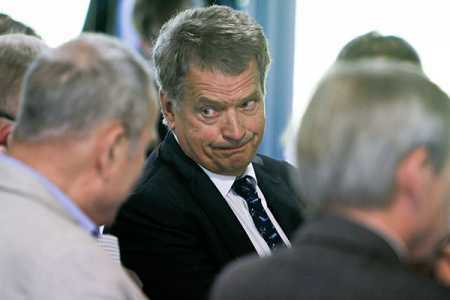 The two-day foreign and security policy debate hosted by President Sauli Niinistö also focused on the recent developments in Russia and other important issues. Those in favour of applying for the military alliance justified membership on the security guarantee it offers. The NATO proponents argued that a NATO country has never been attacked. President Sauli Niinistö and other speakers in the discussion. Photo – Str / Lehtikuva. Those opposed to seeking NATO membership pointed out that security cannot be assured by becoming a member of the alliance. They argued that the military alliance has not been tested in its history. Those against applying for NATO membership also stressed the difference between the situation in Ukraine and that of Finland, which is part of the European Union. They maintained that because of the Ukrainian crisis, the country should not rush to join NATO. 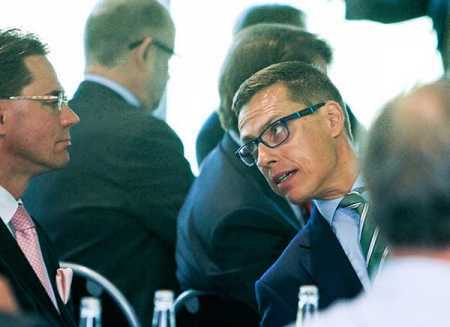 Prime Minister Jyrki Katainen and Minister European Affairs and Foreign Trade Alexander Stubb at the discussion programme. Photo – Str / Lehtikuva. 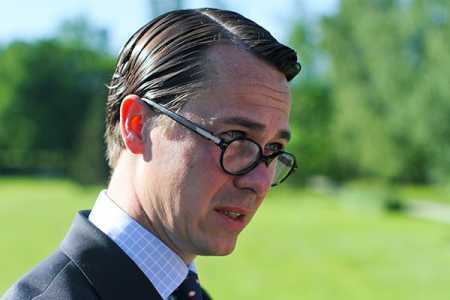 Defence Minister Carl Haglund said Finland is no different to others in regards to the NATO option. According to Haglund, NATO would certainly take Finland as a member, but the country’s security policy cannot be crafted upon a quick application process. The minister for European Affairs and Foreign Trade, Alexander Stubb supports a move for NATO membership with the view that it would ensure security. “NATO would increase our security and opportunity to participate in the decision making,” said Stubb, who is also running for the chair of the Kansallinen Kokoomus (National Coalition Party). Author Sofi Oksanen at the discussion. Photo – Str / Lehtikuva. Juha Sipilä, the chair of the Suomen Keskusta (Centre Party) does not support NATO membership, but favours a more in-depth discussion on defence alignment. He however conceded that the crisis in Ukraine has changed the NATO debate in the country. According to Sipilä, the country, in any case, is far from NATO membership or holding a referendum on the issue.